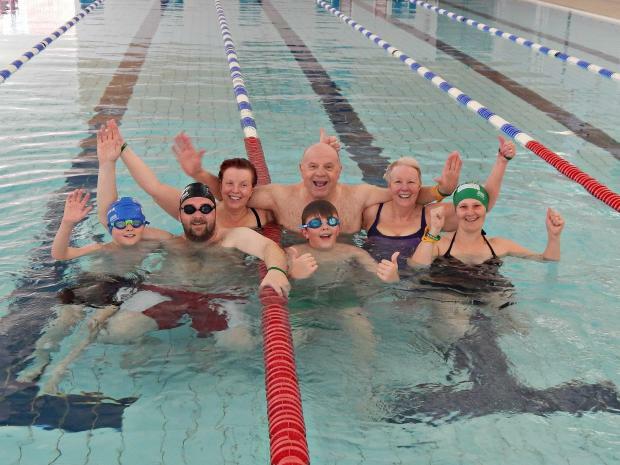 A grandmother will take part in a swimathon to raise money for the Smile of Arran charity. Joyce Stone, 68, of Sible Hedingham, has already raised about £300 for the charity set up in memory of Hedingham School boy Arran Tosh, who died from a brain tumour last year. Mrs Stone will take part in a challenge to swim 200 lengths with her husband Karl, daughter Dionne and her husband Dave, and grandchildren Billy, 12 and Harry, 9. The event will be on April 19 at Halstead Leisure Centre. On Friday, there will be a fun day in the Co-Op in Swan Street, Sible Hedingham, where Mrs Stone works. She is unable to take sponsorship money while working, but staff will wear fancy dress and there will be collection buckets for people to make a donation.